This the season to be jolly! Christmas is only a month away. 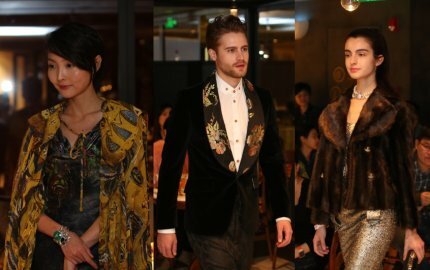 Many people will probably turn their wardrobe upside down in search of their best outfits to go to parties during Christmas. 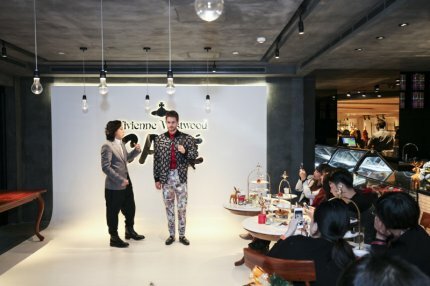 The Vivienne Westwood’s flagship store in K11, Shanghai, has organized a “Christmas Comes Early Tea Party” on 20th November and invited selected Vivienne Westwood VIPs to attend with the aim of giving them some inspiration on their festive season attire. 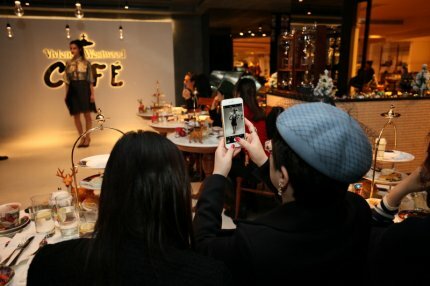 While guests were enjoying the delicious English afternoon tea set in the Vivienne Westwood Café, models were showcasing the latest exquisite looks accompanied by the presenter’s introduction to the details of the designs and sharing of some fashion tips.